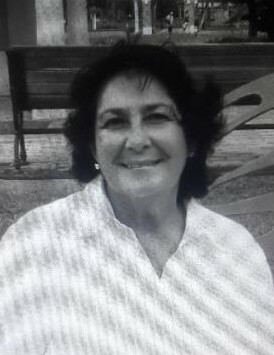 Loreece Ann Harb Hines was embraced by God’s arms on October 16, 2018. She was born February 16, 1942, to Aziz and Hazel Harb in Chattanooga, Tennessee. She has 1 sister, Gerrie Goodman (Billy). She has 3 daughters, Becky Naylor (Steve), Scotti Marshall, and Amy Bonham (deceased). She has 1 stepdaughter, Melissa Reichert (David). She was blessed with 6 grandchildren and 1 great grandchild. She leaves behind, her loving and nurturing husband, Tony Hines, who misses her terribly. They married for 32 years. There will be a Celebration of Life at Beckmann-Williamson Funeral Home, 5400 Village Drive. Rockledge 32955 on Wednesday, November 7, 2018 with greeting from 5-6 and a Memorial from 6-7 pm. All are welcome.